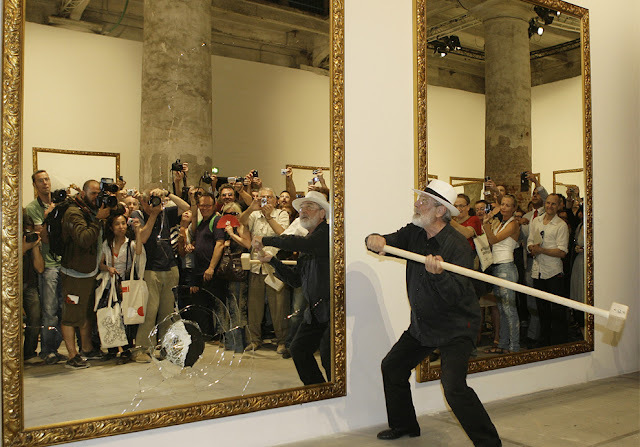 Pistoletto has regularly used mirrors in his work to symbolize his search for his own identity. As well as a sort of self-portrait the mirrors also address division, multiplicity and universality. The performance 'Seventeen One Less' presents an evolving situation where 22 opposing mirrors are smashed, until only two facing mirrors are left intact. 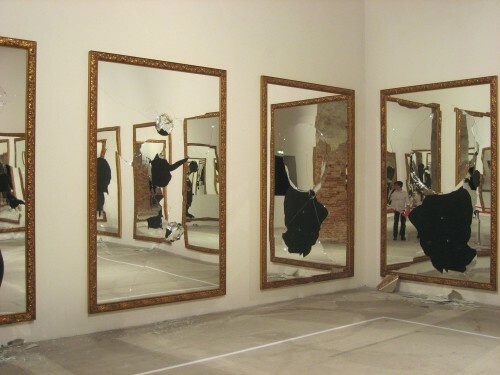 According to Pistoletto, their reciprocal reflection represents the infinite generation of light and life. Even the smallest of the broken mirrors, however, retains the same properties of the whole mirrors, multiplying their reflective power. The moment of destruction remains impressed in the mirror picture as the memory of a past event imprinted on the present.